With all the recent hoopla and commentary on the Michael Cohen criminal investigation and the execution of search warrants against Cohen, it is important to focus on what is true, what is exaggerated and what is outright false. My related podcast on the Cohen Criminal Investigation and Search Warrants is Here. First, it is not unusual to execute a search warrant at an attorney’s office (or other premises) when the attorney is the subject of a criminal investigation. As a former federal prosecutor, we rarely executed such a search warrant, but it is not unheard of in a criminal investigation. Second, from recent press reports and a court filing by the US Attorney’s Office for the Southern District of New York, it appears that Special Counsel Mueller referred information about Cohen’s potential involvement in criminal activity several months before the search warrants were executed. Such referral was appropriate under Special Counsel regulations since the Cohen investigation did not relate to Special Counsel Mueller’s ongoing investigation. Third, it is clear that the US Attorney’s Office in New York has been conducting an ongoing investigation of Cohen for several months, resulting in the execution of the search warrants against Cohen. To obtain a search warrant at an attorney’s office (and related locations), the US Attorney’s Manual provides specific procedures for internal review and approval prior to presentation of the warrant to a judicial officer. Because of the potential effects of this type of search on legitimate attorney-client relationships and because of the possibility that, during such a search, the government may encounter material protected by a legitimate claim of privilege, it is important that close control be exercised over this type of search. Alternatives to Search Warrants: In order to avoid impacting a valid attorney-client relationship, prosecutors have to “take the least intrusive approach,” and consideration should be given to obtain information from other sources, including use of subpoena unless such efforts could compromise the criminal investigation. 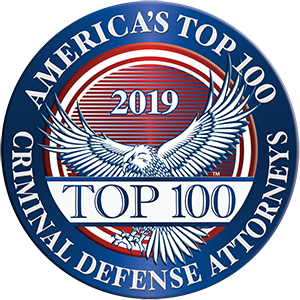 Prior Consultation: Separate from the authorization requirement, a federal prosecutor should consult with the US Justice Department’s Criminal Division. Safeguarding Procedures: A federal prosecutor must employ adequate precautions to ensure that the materials are reviewed for privilege claims and that any privileged documents are returned to the attorney from whom they were seized. Conducting the Search: The search warrant has to be drawn specifically as possible to minimize the need to search and review privileged material. To protect the attorney-client privilege, a “privilege” or “taint” team should be designated, consisting of agents and lawyers not involved in the underlying investigation. The privilege team should be instructed on procedures to minimize the intrusion into privileged material and should ensure that there is no disclosure to the investigation/prosecution team. The privilege team will review the documents and other materials to ensure that privileged material is not disclosed. Assuming the search warrant application meets the requirements of this provision and provides specific probable cause for the search of each location, FBI agents have to present the materials to a judicial officer who is likely to devote significant attention to the basis for the search warrant. Given the sensitivity of this process, FBI agents and federal prosecutors are well-versed in this process. They are acutely aware of the risks of the search warrant, and typically document carefully the process, knowing that the actions they take will be subject to judicial review.